Ecommerce for your organization, using SilkStart with Ecwid. Your organization may need to sell one or many products, requiring shopping cart functionality, checkout, payment processing, and maybe even shipping management. We’ve integrated with Ecwid to provide a robust ecommerce solution. It is extremely powerful, full featured, and embeds perfectly into SilkStart websites. 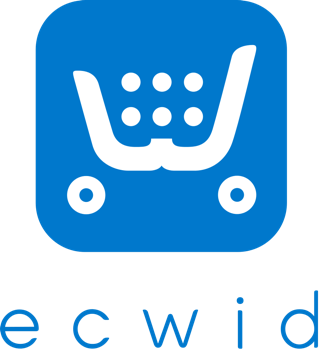 Ecwid (pronounced as “eck-wid”, short for “ecommerce widgets”), is a feature-rich shopping cart that painlessly integrates with your existing website. 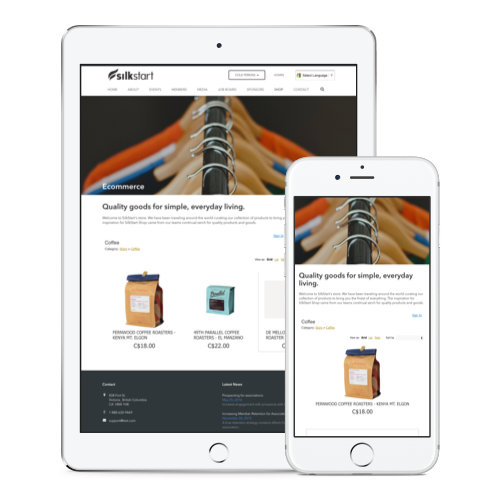 Add shopping cart functionality to your SilkStart site, plus get a mobile and Facebook store in one package. No setup charges or transaction fees make it a no-cost, high-return solution for your organization. Your Ecwid store can be embedded into your SilkStart website in just minutes. Ecwid ensures the security of your store and provides a user-friendly purchase process. Even better - it’s free if you list 10 items or less in your store. Sign up online, add your product details, and easily embed it into SilkStart - all in just a few minutes. We copy your site’s look and feel so your embedded store is a perfect match. 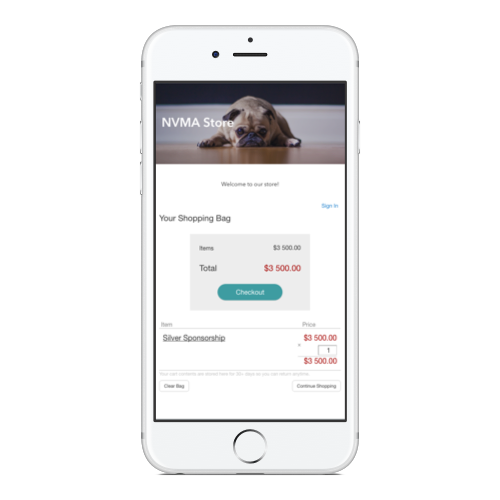 Display beautiful images of your product, have shipping prices calculated on the fly, track your inventory, accept payment, and so much more.